$8.95 on Amazon look inside this book! 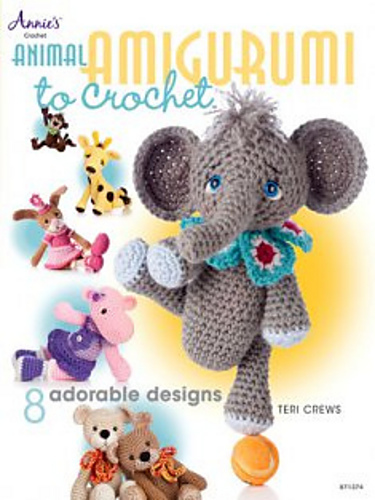 Make this fun, cutie using basic crochet stitches, worsted weight yarn and size G hook. Pattern includes detailed written instructions (in English), material list, photos and helpful notes and tips to complete. Finished size approx. 11 inches tall. Pattern skill level= advanced beginner, you will need to know how to crochet in the round to complete this project. Be sure to visit my website for current promotions, video tutorials, free patterns and any applicable pattern errata/revisions.